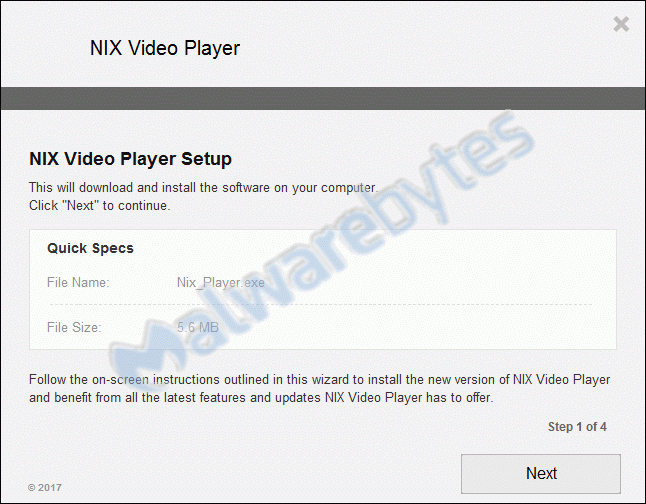 Malwarebytes Anti-Malware detects and removes a new application called Nix Player. How do I know if I am infected with Nix Player? How do I remove Nix Player? Malwarebytes Anti-Malware detects and removes a new application called InternetSpeedTracker. How do I know if I am infected with InternetSpeedTracker? How do I remove InternetSpeedTracker? Malwarebytes Anti-Malware detects and removes a new application called Search App – Music. How do I know if I am infected with Search App – Music? How do I remove Search App – Music? Malwarebytes Anti-Malware detects and removes a new application called PCEasyNow. How do I know if I am infected with PCEasyNow? How do I remove PCEasyNow? Malwarebytes Anti-Malware detects and removes a new application called Troubleshooter. How do I know if I am infected with Troubleshooter? How do I remove Troubleshooter? Malwarebytes Anti-Malware detects and removes a new application called SmartCloudInput. How do I know if I am infected with SmartCloudInput? How do I remove SmartCloudInput? Malwarebytes Anti-Malware detects and removes a new application called MP3 search engine. How do I know if I am infected with MP3 search engine? How do I remove MP3 search engine? Malwarebytes Anti-Malware detects and removes a new application called BringMeSports. How do I know if I am infected with BringMeSports? How do I remove BringMeSports? Malwarebytes Anti-Malware detects and removes a new application called Smart PC Mechanic. How do I know if I am infected with Smart PC Mechanic? How do I remove Smart PC Mechanic? Malwarebytes Anti-Malware detects and removes an application called ByteFence Anti-Malware. How do I know if I am infected with ByteFence Anti-Malware? How do I remove ByteFence Anti-Malware?